This bright red London bus is much more substantial and chunky than it appears in the picture. 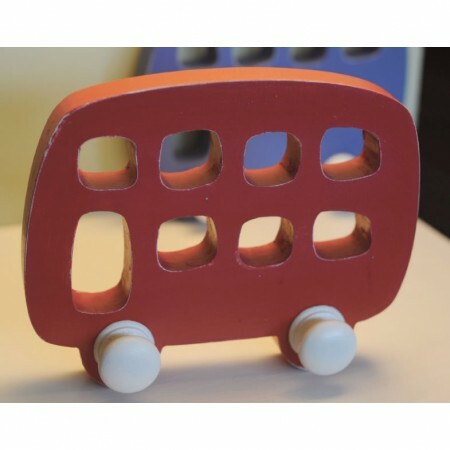 A wonderfully childish design hand made from solid wood. A great addition to any child's bedroom. Beautifully presented in a gift box making this an ideal present.